We chat to the very inventive Beetroot about colourful electoral campaigns, lab-made type tools and their rather striking visuals. You may not have heard of Beetroot, but they're definitely a creative studio to emulate. 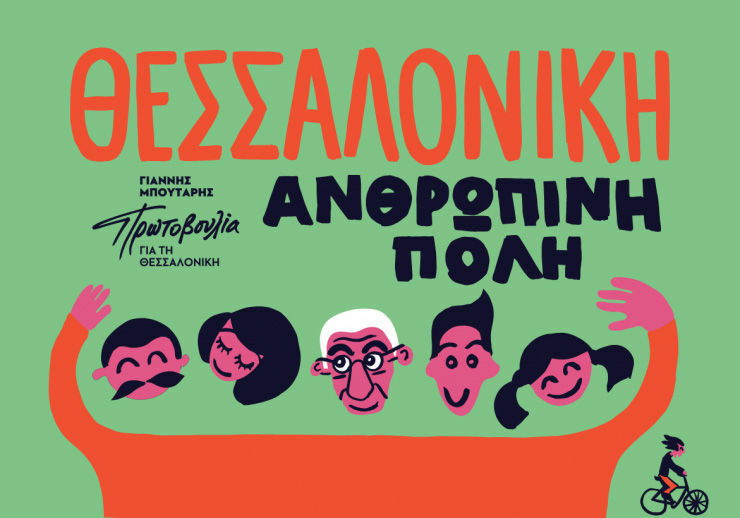 Based in Greece and London, the studio has tried its hand at theatre productions, election campaign posters, Minotaur sculptures and even their own custom type tools for InDesign. This is an outfit that does more than branding and the occasional font - Beetroot is constantly evolving, with a little unit working on type projects and even a forthcoming shop selling their custom wares. Digital Arts reached out to Vangelis Liakos of the group for a deeper look into their projects, and Beetroot's history since its inception back in 2000. GL: Let's get the basics on Beetroot - how did you begin, how many are there of you, and why did you choose the name Beetroot? VL: "Three friends from school, a small loan from their parents to buy a single PC, some enthusiasm and a splash of ambition. We became four soon after, then five and so on. The rest is history. 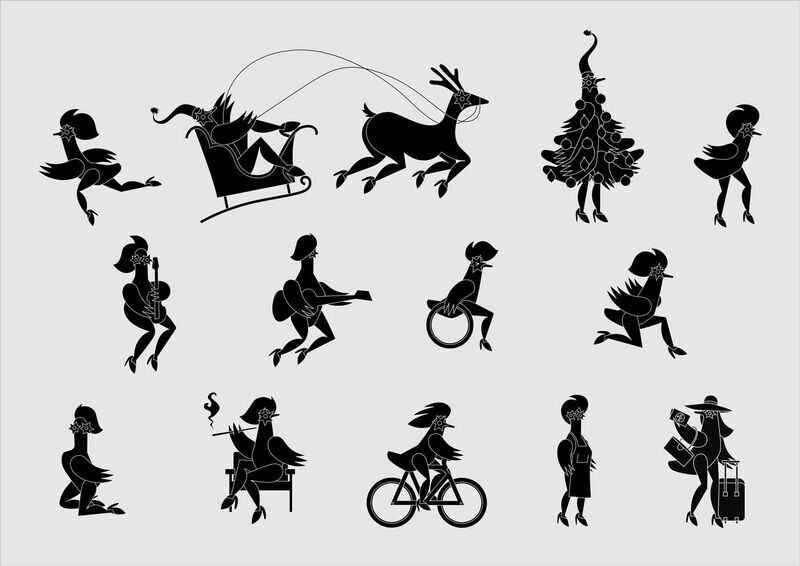 Now the team consists of seventeen highly energetic individuals from various creative fields. "As for our name, back then we were huge fans of Tom Robbins who in his book Jitterbug Perfume refers to the beet as the 'most intense of vegetables' and states that 'Beets are deadly serious.' It didn't take much to inspire our young selves." GL: What makes Beetroot different from other design groups, and what are your core beliefs when approaching a project? VL: "Our mission is to blend colours, shapes, sounds and ideas to build brands, have fun and inspire people. As a team, we focus on our well-being and quality of life as much as on design. We have developed strong, family-like bonds between our members. Teamwork and creativity flow from our everyday lives. "Not having a particular style is, maybe, what makes us different from other design groups. We always dive into unknown territories design-wise. We like to suffer. We try not to follow rules when approaching a new project. Every project is different and deserves its own study. We try to be as free as is humanly achievable." GL: What was your latest project? VL: "This is a tough one cause we simultaneously run many projects we love. 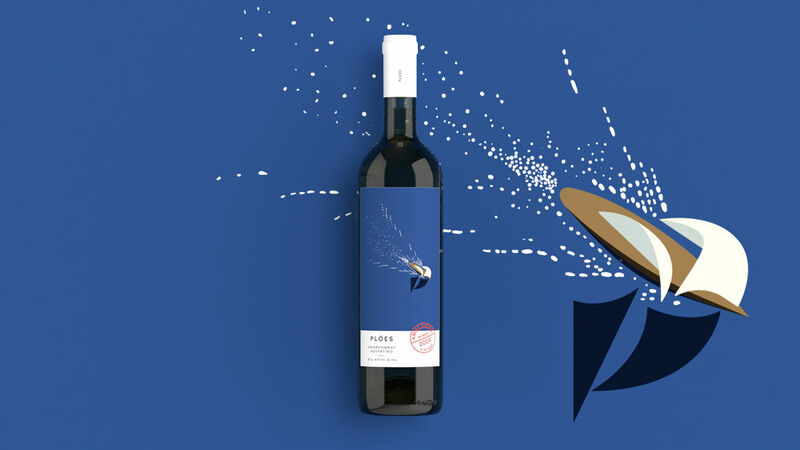 We should mention our identity branding for art space Ypsilon Project (below), which was awarded as the Best of the Best in the Red Dot Awards in Germany." 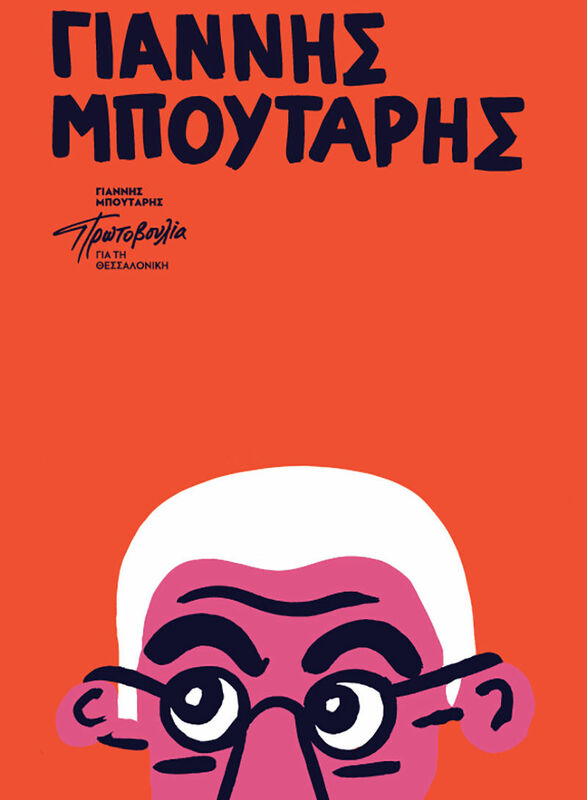 GL: We haven't yet seen an electoral campaign as eye-catching and contemporary as your work for Yiannis Boutaris. Was it an easy process, or were many people 'scared' that this would be too radical a look? VL: "Thank you very much for your positive comments. Mr. Boutaris and his team were excited with the outcome of our work from the get-go, which of course made our lives easier. 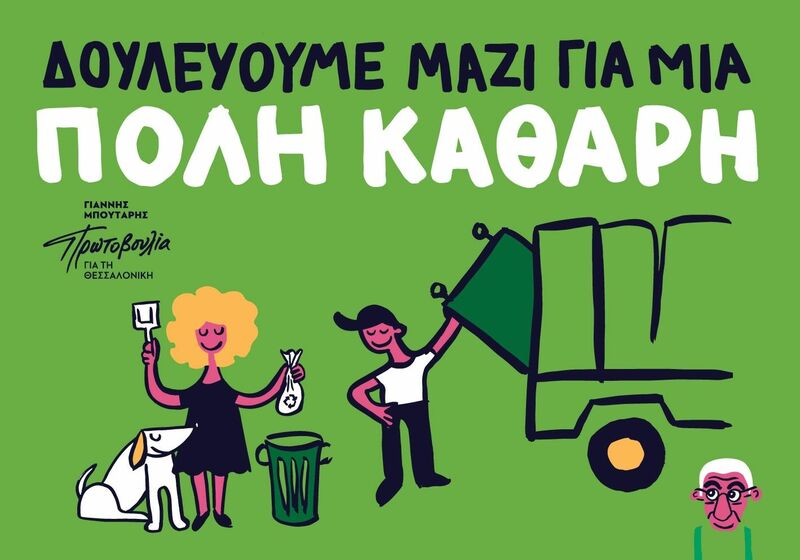 "After that, implementing the design for the electoral campaign came naturally with little to no fuss." 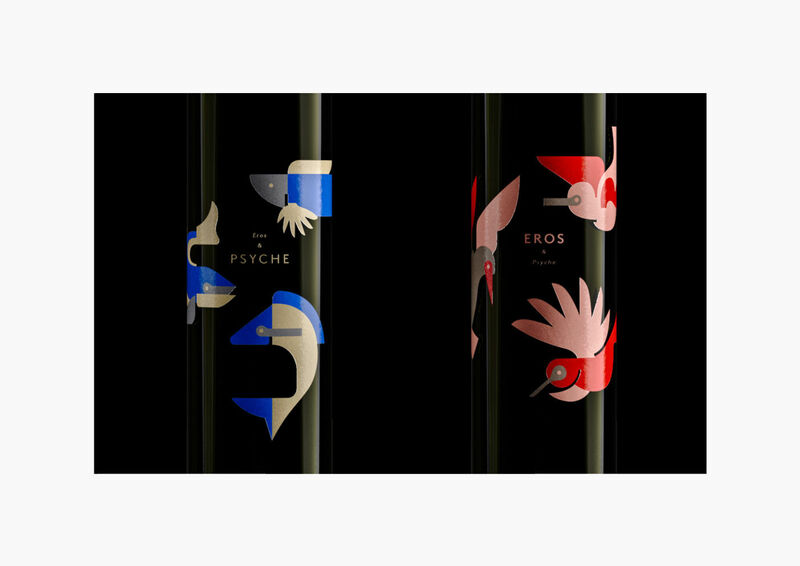 GL: At Digital Arts we often look at illustrated labels for beer and spirits, and we're wondering how did you approach the wine labels of both Ploes and Eros & Psyche? VL: "In the early years of Beetroot, it was rough here in Greece. Trying to follow their previous aesthetic legacy, spirit brands were lost in a sea of repetition. The hardest part was to convince our first clients to shake off the old-fashioned thinking about the image of their brands and be bold. "When it finally happened they soon realized those new labels were standing out. After that, every other client was asking for the same thing." 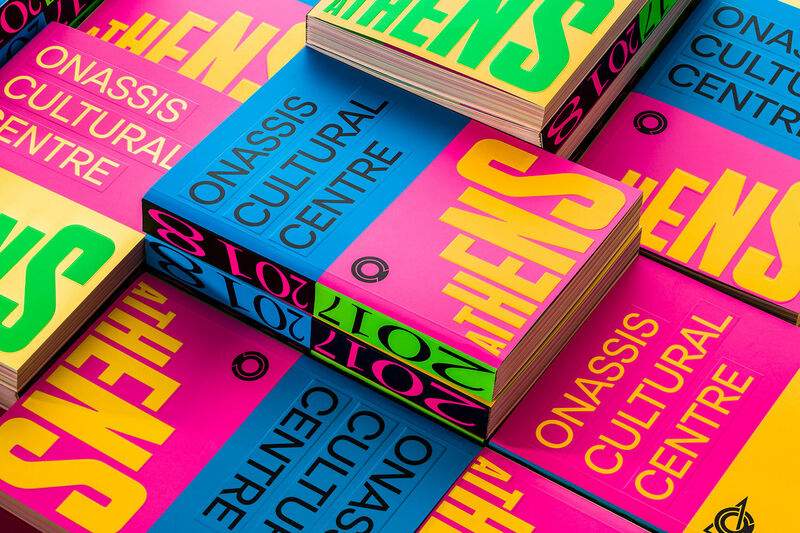 GL: Let's break down your epic, colourful visual identity design for the Onassis Cultural Centre in Athens. First, what inspired the font design? Also, how and why did you develop the Flow Type text tool for the project? VL: "After our annual meeting with the OCC team, we decided that the visual identity of the OCC should express a very important contradiction. The heretic and intense use of typography, on the one hand, reminds us that culture ought to be restless, unexpected and disruptive, while the use of 'pop' colours emphasises the desire of the OCC to recommend contemporary cultural work to the widest possible audience. "By developing Flow Type for InDesign, we managed to handle the large volume and diverse needs of the OCC materials. This specially designed typographic software was the main design tool that helped us deliver the 2017-2018 OCC visual identity. 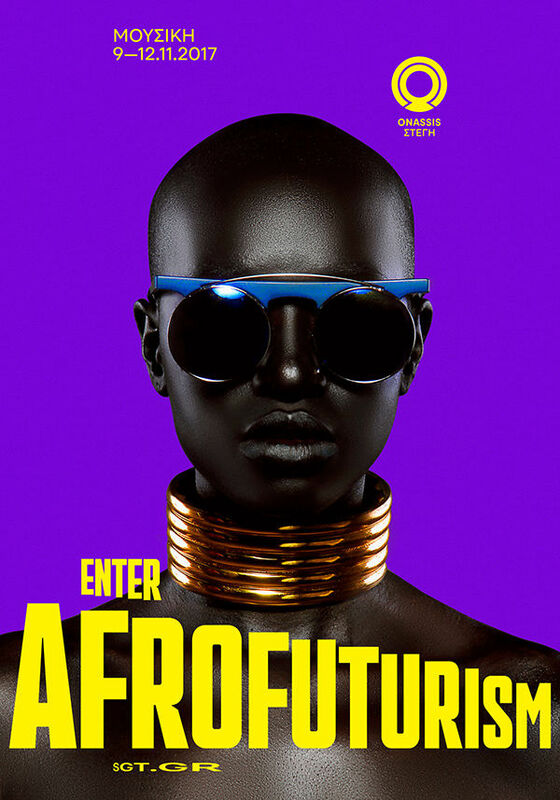 GL: I love your Afrofuturism posters for the OCC. How did you decide on their look? VL: "Last year we got involved in the communication design of more than fifty OCC performances. 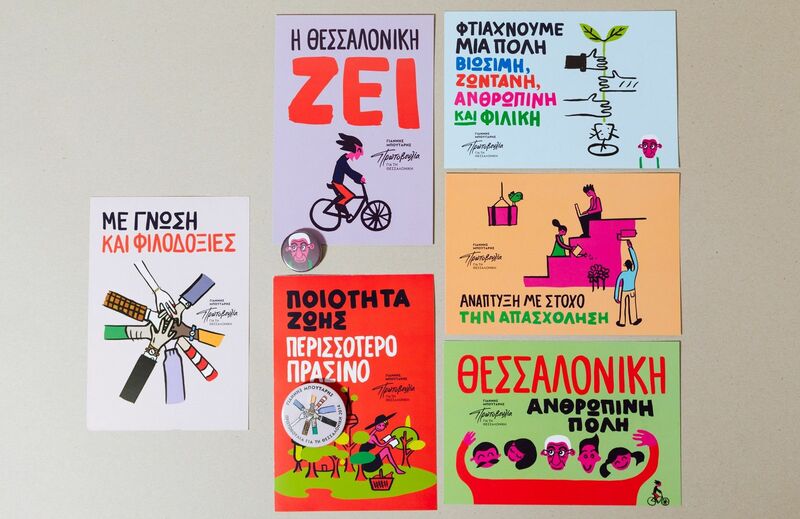 In some of them, we delivered everything from scratch to finish, while in others we used the artists' photos, artwork and even music to create the necessary materials like posters, flyers and digital applications. "Both instances are very intriguing to us. We gladly accepted the challenge to implement our design on the artwork and create a great outcome of merged aesthetics that will satisfy both our client and the artist. 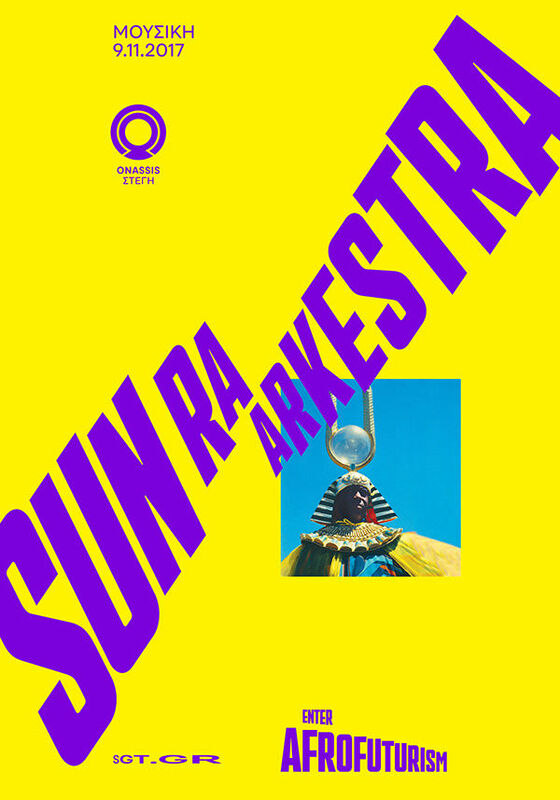 The Afrofuturism and the Sun Ra Arkestra posters were two examples of this kind." GL: You designed a torture machine made out of text for a 2016 opera production of Kafka classic In the Penal Colony. 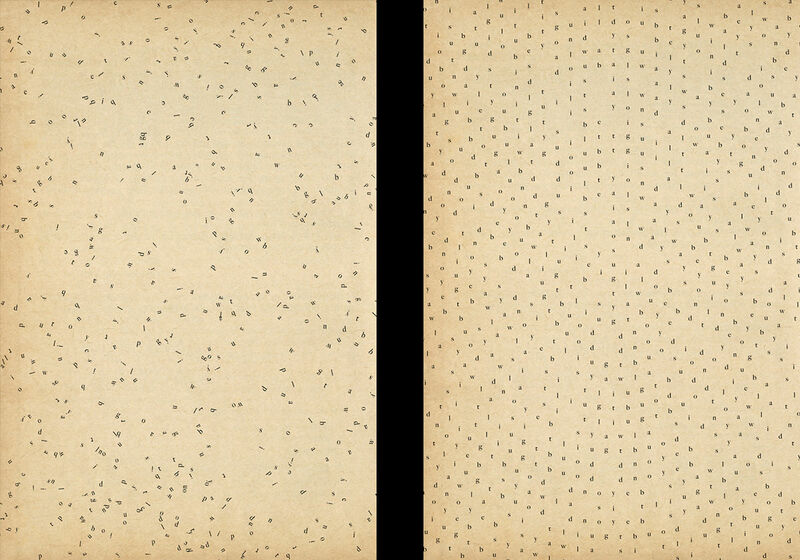 How did Kafka's original short story inspire you, along with the adapted libretto? VL: "Kafka never directly describes the machine in a physical sense. His descriptions focus on function, process and goal. His machine is a literary device. Its mechanic is the writer. Its builder is the reader. This narration technique thrilled us. 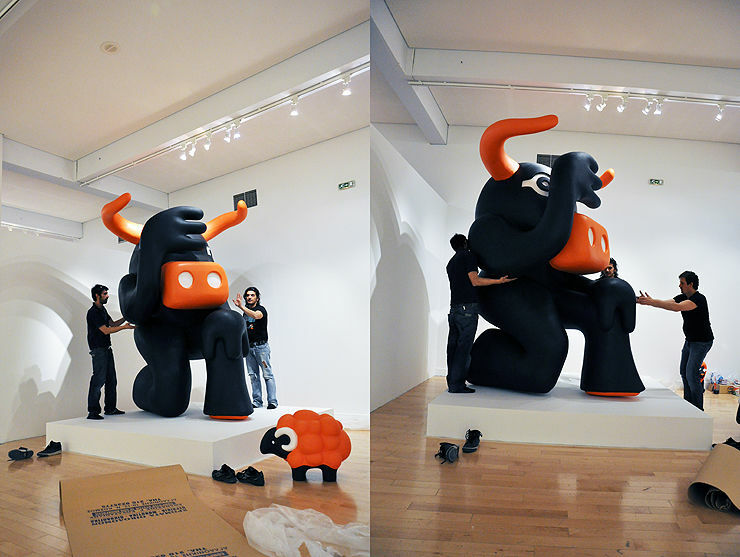 Our main goal became to translate it into our own visual language. In this line, we decided to create the machine out of Kafka’s text itself(as it was adapted in the English libretto of the opera by Rudy Wurlitzer). "Our previous collaborations with director Paris Mexis helped us to understand his mindset and the tone of the performance." GL: Did the Beetroot Lab come about organically, and what are your future plans with it? Will it always be typographic based, making type tools? It seems text excite you the most in design. VL: First of all, luckily for us, we get easily excited about every aspect of the design world, not just typography. We always have been naughty with graphic design, playing and experimenting in both print and digital media. Beetroot labs came naturally when we decided to make it somewhat more precise and provide a platform for our members to bend, trial and form new ideas. "Eventually, this platform would play a critical role in our creative journey and would produce aesthetic breakthroughs and innovative tools." "It may look like it at the moment, but Beetroot Labs is not just typographic based. We have developed many tools for the broader domain of the communication design, waiting to be presented. Our interest shifts from illustration to photography, from industrial to information design, from visual storytelling to copywriting."